Description: Judi is Artie’s mother, who has made residence in Windagill Valley and made occupation of a hairdresser. She lives alongside David Saxon, whom is her late husband’s father. She is your classic caring mother; always looking out for her family and friends, but easily chews them out if they cause trouble. Judi is a widow, and treasures her time with her late husband very dearly. She says that before she met him, she didn’t know what to do with her life, and was unclear about what path she wanted to walk on. When she met her husband however, she had soon gotten a clearer mind, and wanted to explore the world alongside him, as well as start their own family with the birth of Artie. However, when her husband was presumed dead during a harrowing incident, she seemed to have lost all desire to adventure, and grew a content and peaceful life in Windagill Valley with her only son and stepfather. Because of the incident, Judi clings on to Artie very dearly, and would despair if she were to lose him. Given the Wolkhar’s natural talent for retaining large bodies of hair, Judi had taken the job of a hairdresser in Windagill Valley, as she gives quality cuts and styles to all her patrons, including her family. Artie says his afro would lose its lustre if his mother wasn’t there to perm and trim it every now and then. Of course, Judi noticed how much Artie and David value her work into their hairstyles, so she decided to make the quality trimming a reward for doing chores areound the house. 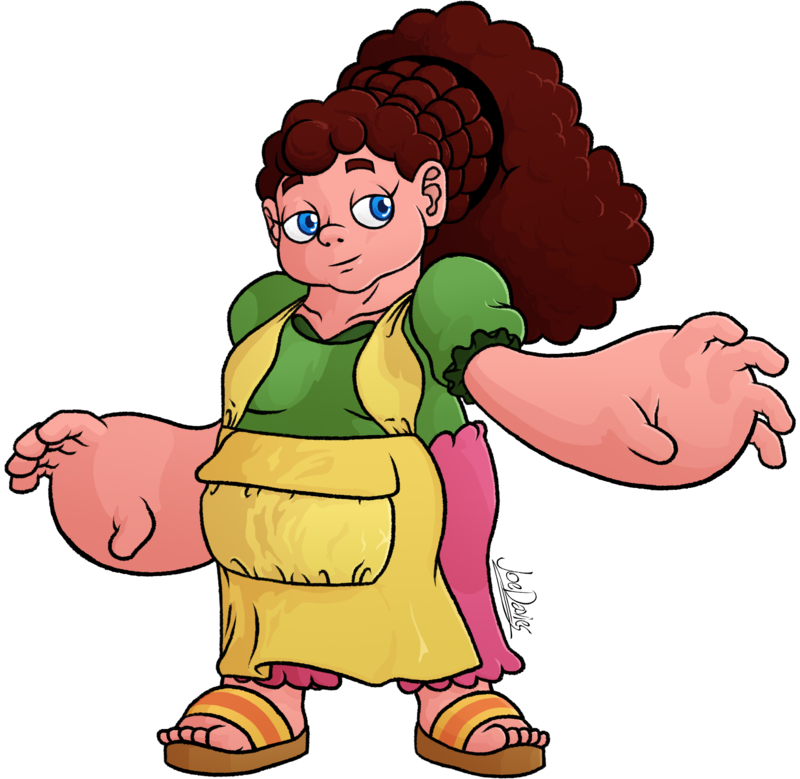 All the kids in Windagill Valley love her for her gentle demeanour, and she often displays that kindness by baking them treats or giving them motherly advice whenever they need it. They say she feels like everyone’s mom. Her kindness and intelligence have sometimes welcomed her a position of teaching in Windagill Valley, and she is still currently deciding on whether to do it or not. Judi obeys Wolkhar tradition like any other Wolkhar, but still feels reluctant about the kids’ coming-of-age trials. Especially since Artie’s is right around the corner. She, like any caring mother, is not happy about sending her only son alone into an unexplored cave. But she swallows her fears in order to show true faith in Artie’s skills. David is sure that she is just being oblivious to seeing Artie grow up. Appearance: The shape of her body resembles that of a bowling pin. A small head, in proportion to her rotund stomach. Her large afro is fastened under a hairnet, creating a ponytail-esque sort of style. She wears a green shirt with big shoulder sleeves, and pink trousers that have a frilly motif on the top and bottom ends. She likes wearing her yellow apron, which has very thick, but tightly folded straps and a large pocket on the front. And she likes wearing her sandals, which have a bit of an upward groove on the front. Her skin and eye colour are the same as Artie’s, but her hair is slightly more reddish.